Few buildings are as unique as the Museum of Pop Culture (MOPOP), formerly the EMP Museum in Seattle Washington. The museum was founded by Microsoft in 2000 by Paul Allen as the Experience Music Project. 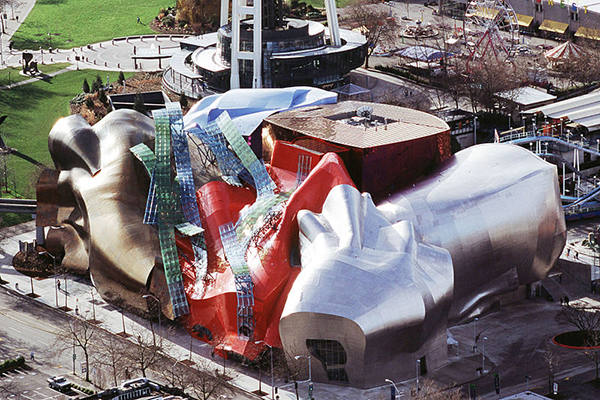 MOPOP was designed by Frank Gehry in a similar style to a lot of the firm's sheet-metal buildings. The building is designed to be reminiscent of a smashed guitar with a central theatre called Sky Church as a homage to Jimi Hendrix. 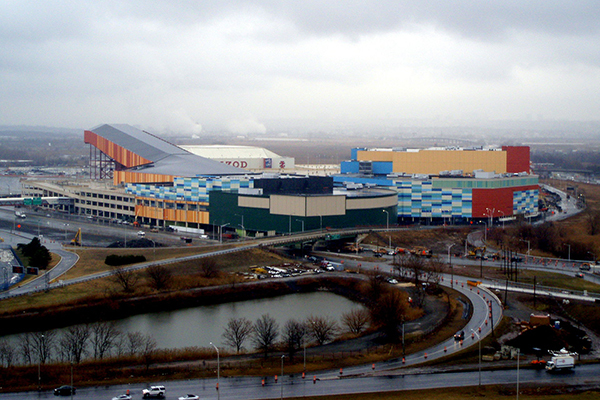 The American Dream Meadowlands in East Rutherford, New Jersey is a 500 store complex for retail and entertainment. The building has been under construction since 2003 and passed between several contractors and investment companies with major halts in construction in 2007, 2013, and 2016. Work was resumed on the project in June 2017. The American Dream Meadowlands building is considered a colossal real estate nightmare, even governor Chris Christie says the building is "an offense to the eyes as you drive up the turnpike" and "by far the ugliest damn building in New Jersey, and maybe America". The building's newest owners plan to repaint the exterior in an attempt to soften the appearance. Boston City Hall has onlookers and architects divided. Public response to the building has been mainly negative. It is incredibly unpopular with many Bostonians, as well as many employees of the building. On the other hand, many architects, including the AIA, consider the building one of the best examples of American architecture. The plaza surrounding City Hall has faced similar controversy. In 2004 one publication labeled Boston City Hall's Plaza as the single worst public plaza worldwide, while in 2009 another publication labeled the Plaza as one of the thirteen national "Marvels of Modernism". 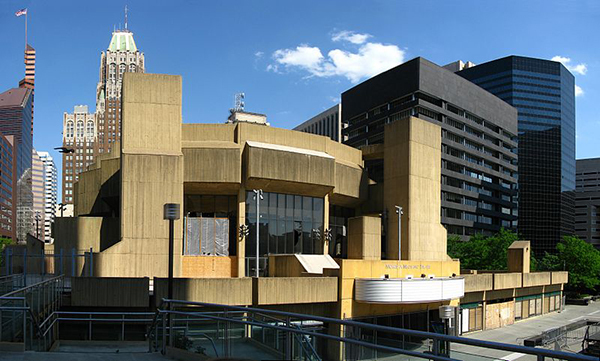 Multiple proposals to modify City Hall or demolish it have been made since 2006 alone. Although the Morris A. Mechanic Theatre was demolished in 2014 it's controversial design warrants it worthy of an ugly building list. The building was named after its owner, Morris A. Mechanic, and designed by architect, John M. Johanson. Johanson was known for creating his own style which he called "functional expressionism" but most refer to as brutalism. The theater ceased operation in 2004 and was the subject of several renovation efforts between 2005 and 2012. Unfortunately, each renovation attempt fell short financially and the building was demolished in September of 2014. A new residential high rise and commercial space now stand on the lot. This entry was posted in Architecture, Construction, Real Estate and tagged Ugliest Buildings In America.